I am sure, if you are a beginner for Mirth – this screen would have made you to cry. You wont get the text box to enter the Username and Password to login to Mirth Connect. When it happened for me for the first time, I followed few guidelines over the web; but still could not be recovered. Since I was in hurry and I had a back up of all my mirth channels, hence I went for a fresh installation. But again after few days – the same screen has appeared. 1. 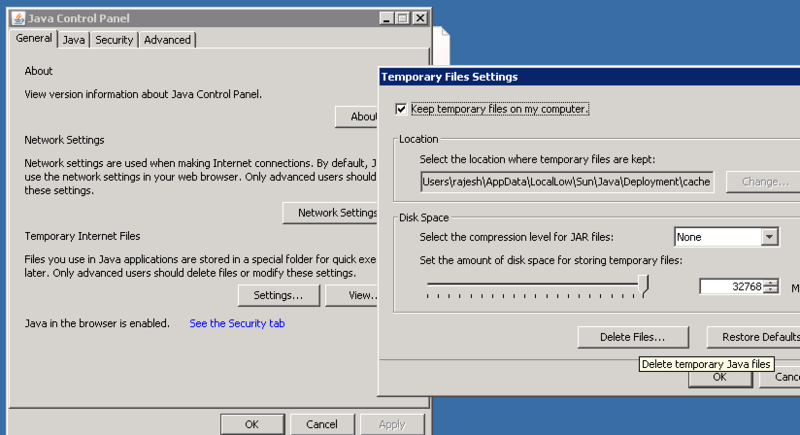 Windows 7 and onward system, go to start and in search type – “Java Control“. Click the Java which falls under Control Panel. At the same time you can make a larger space for your temporary file by editing the values. 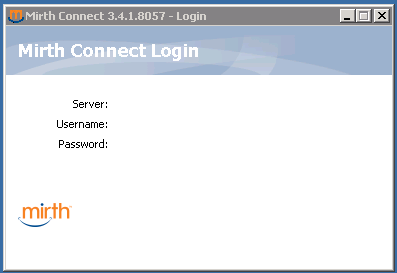 After delete, go to your Mirth Connect Administrator – it should bring up the user name and password screen into a right format. right click on Mirth icon at your system tray -> Show Manager -> Under Server Tab – Server Memory -> Put a higher value now. This should fix the problem for some more days – but ultimately you must be cleaning the Java temp file on a regular basis. I don’t want to consume the entire memory to heap, hence I will set an optimal value – never mean I can put a 3 or 4 GB to it. There are situations where in you will configure your source connector as “Database Reader”. Assuming you define a polling frequency of 10seconds. Now at the source transformer level, you write several lines of java script code to interact further with data values fetched from the query defined at source connector level. This may crash the Database server, as the polling frequency is pretty less and it fires the query immediately because you have defined them at the connector level. You can save yourself in many ways, but I feel this sounds more suitable to implement a delay as the very first transformer (Step 1 among all your steps). Below is the java script code; can be embedded into any source transformer in Mirth.